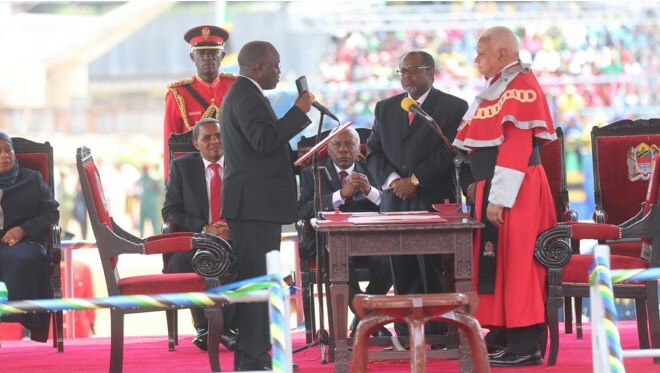 Dr. John Pombe Magufuli Joseph has been sworn in as Tanzania’s fifth President. 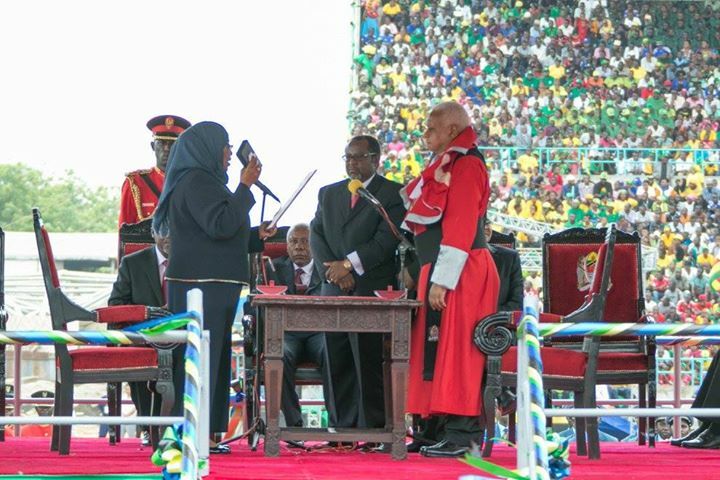 The colourful event that took place at the Uhuru Grounds in Temeke, Dar es Salaam saw Dr. Magufuli and his Vice President Samia Suluhu Hassan take oath of office. Magufuli becomes the fifth President of the United Republic of Tanzania and takes over from Dr. Jakaya Mrisho Kikwete who has served the maximum two-five-year terms. Magufuli and Suluhu are now tasked with the responsibility of protecting and upholding the country’s constitution and the Laws of Tanzania. In his oath, Dr. Magufuli said he will execute his duties diligently, without discrimination whatsoever, and in accordance with the Laws of and traditions of Tanzania. Suluhu becomes the first ever woman Vice President in the East African country. Dr. Magufuli beat seven other candidates to emerge winner in what was termed as the hottest contest in the country’s political history. Magufuli was elected on a Chama Cha Mapinduzi’s (CCM) ticket after garnering 8,882,935 votes against his closest challenger Edward Ngoyai Lowassa of the Chama Cha Demokrasia na Maendeleo (Chadema) who garnered 6,072,848. Several African Heads of States including President Uhuru Kenyatta, Rwanda’s Paul Kagame, Uganda’s Yoweri Museveni, Burundi’s Pierre Nkurunziza and Zimbabwe’s Robert Mugabe attended the inauguration of Dr. Magufuli.